Music solos were performed at the Gathering of Talents by St. John's youth pictured from the left, Trystan, Jordyn and Peytan Brandt, and Ella Wilkins. On Saturday, April 2, 2011, several youth from St. John’s Lutheran Church in Cordova, participated in a fine arts talent competition at Concordia University in Seward. 8th grader, Jordyn Brandt received a Superior rating for her flute and piano solos and a Superior rating for a pencil drawing. She also played piano accompaniment for the other soloists. Sixth grader, Ella Wilkins, received a Superior rating for her flute and piano solos. Sixth grader, Trystan Brandt, received a Superior rating for his trumpet solo and a Superior rating for a mixed media poster. Fourth grader, Peytan Brandt, received a Superior rating for his piano solo and an Excellent rating for a wooden sculpture of a fort. Fourth grader, Madalyn Woodburn, received a Superior rating for a 2D art entry. Third grader, Sarah Casper, received a Superior rating for a 2D art entry, Third grader, Ryan Sharp, received an Excellent rating for a 2D art entry. The sixth, seventh and eighth grade Sunday School class received a Superior rating for their performance of a Dramatic Skit. 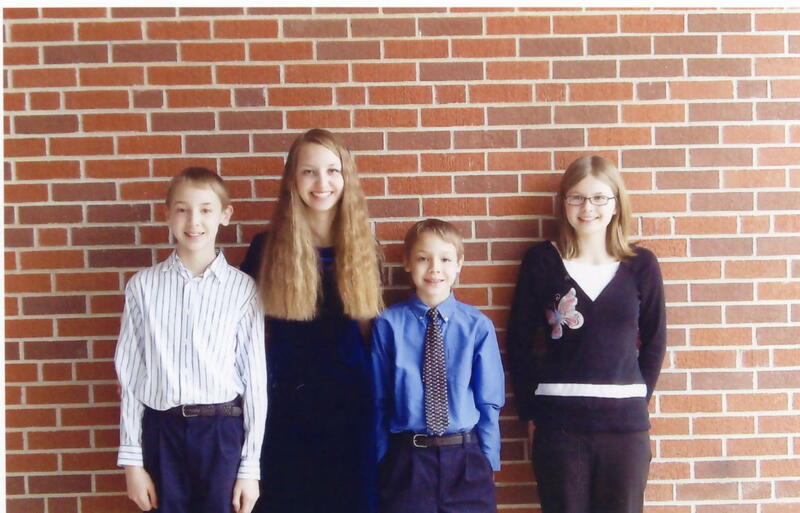 The Gathering of the Talents is held annually for youth, up to 8th grade, attending Lutheran Churches and Schools. Areas of competition include music, art, drama, dance, and creative writing. Youth are judged by University students in their field. The day concluded with an awards ceremony and concert.